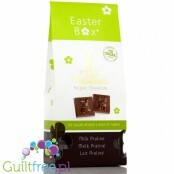 Excellent quality Belgian dark chocolate without sugar is the perfect solution for chocolate lovers. 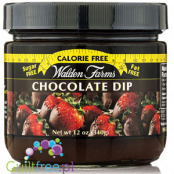 Delicious, with a deep chocolate taste, low glycemic index and reduced calorie will certainly delight you! Weight net. 85g. 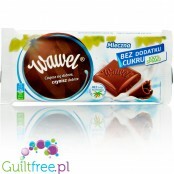 ; 12,27 pln/100g. 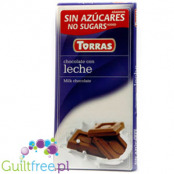 The only sugar-free chocolate sweetened only with tagatose - perfect for people who can not tolerate maltitol or xylitol, but are looking for chocolate-free sweets without sugar. 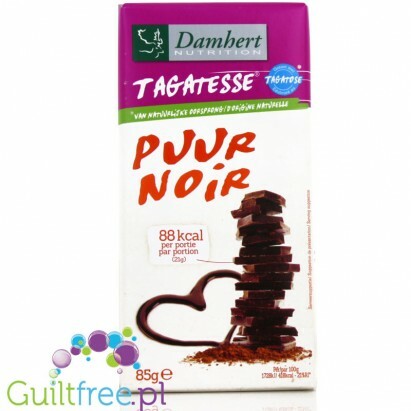 The perfect moment of sweetness if for dietary reasons you usually refuse to eat chocolate cubes - now you can with pleasure and without remorse reach not only for one cube, but even a few - Damhert chocolate is over 150kcal / 100g less than regular dark chocolate * and has almost 2.5 times more fiber! 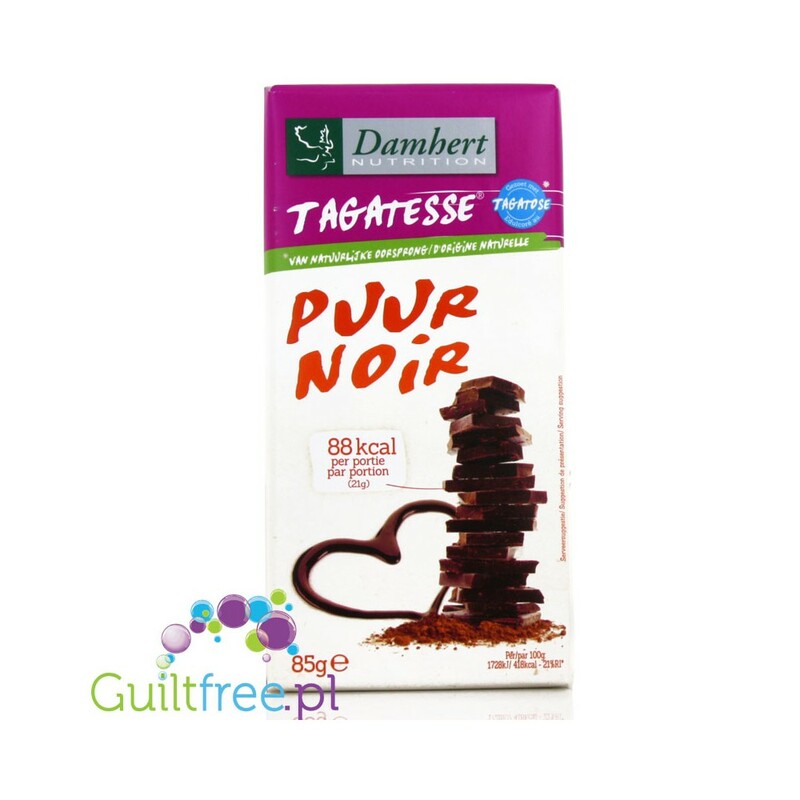 The secret of the naturally sweet taste of Damhert jams lies in the use of tagatose patented in Belgium obtained from cow's milk (as a result of the synthesis tagatose is free of milk allergens and does not contain milk proteins), a sweetener safe for diabetics because its consumption does not cause a rapid increase in blood glucose. In terms of chemicals, tagatose is a simple sugar with 6 carbon bonds and thus a fructose-like structure. The sweetness of tagatose is similar to sugar and amounts to as much as 92% of the sweetness of white table sugar, however, its calorific value is many times lower - which results from the biggest advantage of tagatosis: it is almost not metabolised by the human body. The other big advantage of tagatose compared to polyols (eg xylitol, sorbitol, etc.) is that it does not cause diarrhea or bloating. 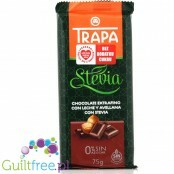 Ingredients: cocoa mass (46.9%), sweetener tagatose (45%), cocoa butter, emulsifier: soya lecithin, natural aroma (vanilla). 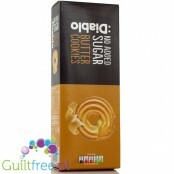 It does not contain added sugar, it contains sugars naturally present in the ingredients in the amount of 45g / 100g, including 45g of tagatose. Allergens: soy; it may contain traces of milk and nuts. 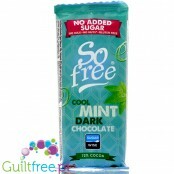 So Free Mint Chocolate is a vegan dark chocolate with an impeccably clean composition. 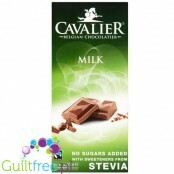 It contains no sugar - it is replaced by xylitol. Lactose Free - is a certified vegan product. Does not contain soya. It is delicately sweet with a refreshing mint flavor. Pure sucralose, a homogeneous sweetener without any fillers - a perfect zero calorie sweetener, not metabolized by the human body sugar derivative. 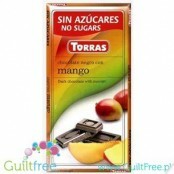 Pure sucralose is 600 times sweeter than sugar - the 25g pack corresponds to sweetness of 15kg of sugar! Milky chocolate in the sugar-free version. 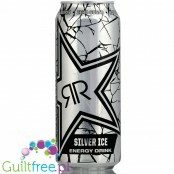 It impresses with its intense taste without unnecessary sugar - it contains only 2.6 g of sugar per serving. It is a sugar naturally found in cocoa beans and milk! 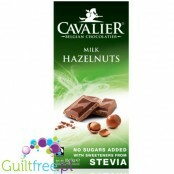 Gluten-free milk chocolate with no sugar, crunchy hazelnuts, sweetened with natural stevia. 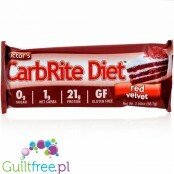 Doctor's Carbrite Red Velvet new flavor comes in the expectation of chocolate cakes and brownie - lof of chocolate flavor. As always without a gram of sugar, as always without gluten.